1. 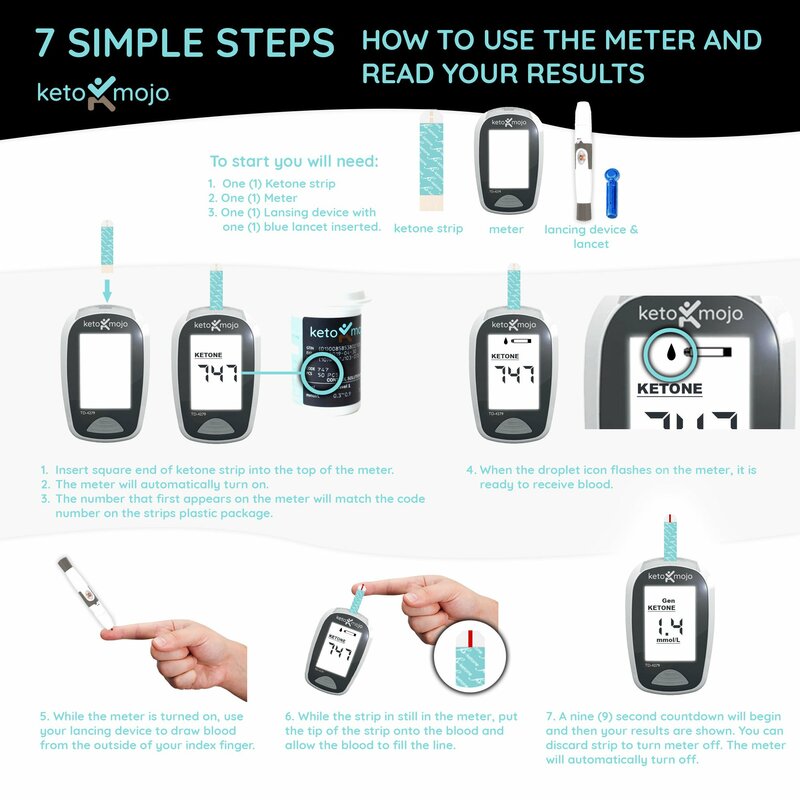 Insert a fresh unused Keto-Mojo ketone strip into your Keto-Mojo meter, then wait while it checks ("CH") until the meter shows the code that matches the number on the vial of strips and the droplet icon flashing. 2. Prick a freshly cleaned and dry area of your fingertip using the included lancing device, then ensure you get a blood droplet about half the size of a matchstick head. You have 3 minutes to get a reading before the meter will shut off. 4. Wait while the unit counts down, then gives you your result. Want to see how it works? Watch a video of the process.